This year, there is a super cute, new, trendy baby reveal theme and it’s being called Lashes vs Stashes. The thought is, that instead of boy vs girl, you theme your event lash vs stash. It allows for so many cute dessert and decor ideas! 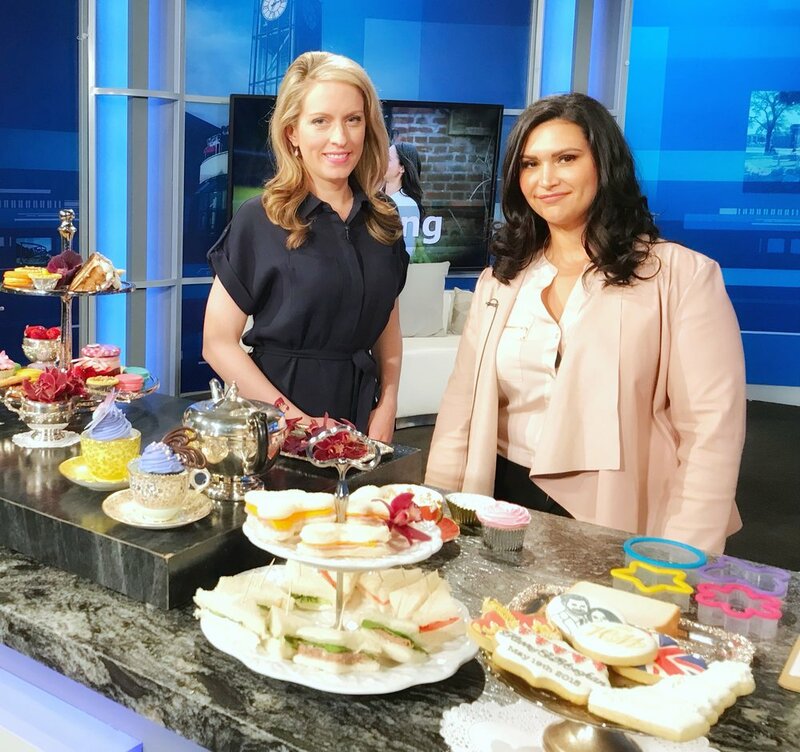 We reached out to some amazing dessert vendors in the area and they created these awesome looks for us that we showed on CTV. I’ll link the episode below as well, if you want to see their dessert awesomeness in live action. Now, I do want to say a HUGE SORRY to my vendors, because I completely missed giving them the amazing shout-out they deserved on the episode! I’m so sorry to both of you. Just a complete oversight when I was taping. I hugely appreciate all your hard work and support. Check out all their details below and make sure to head over to their social pages and show them some love! Also, if you have any dessert needs, they have you covered! Fab owner, Hillary will custom create any cake you want! Her flavours are incredible too! all your cookie dreams come true! ……..and now, for all their dessert magic! These beautiful cookies were designed by Shannon at Jake & Ella’s Cookies! She’s a local baker who adds so much detail to every cookie. She even added edible sparkles to the smaller lash and stash cookies, just to give it a little more glam! 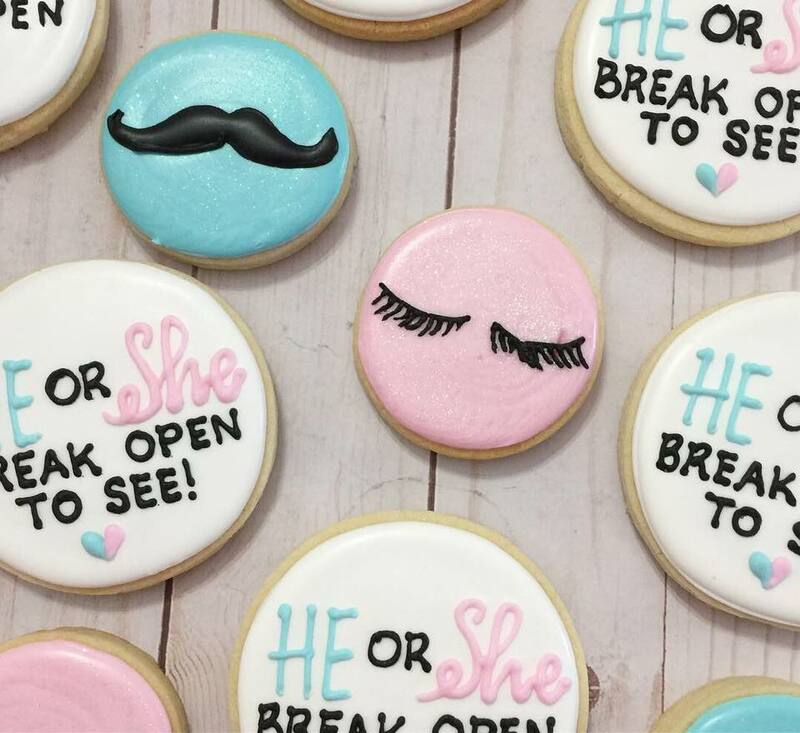 Ask her to stuff the gender reveal cookies for you with coloured icing, and then break them open with all your guests to find out if you’re having a baby boy or girl! Hillary from Cakes on Top is an absolute pro! She custom designed this cake and cupcakes for us and they were such a huge hit! This year, the trend is to fill your gender reveal cake with candy (sprinkles, coloured chocolate pieces…if it’s candy, it’s in)! She did such an amazing job of this cake. 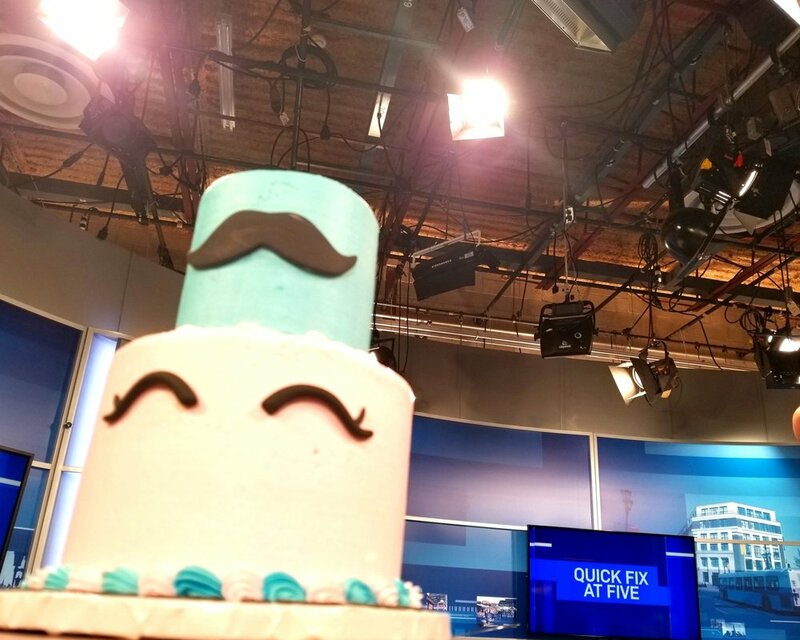 You can catch me online cutting it open…there’s even a blooper too! Her cakes also taste amazing and she has tons of flavours to choose from. She also designed coloured buttercream filled cupcakes for the segment that were delicious too! She even made custom french macarons. It’s always amazing when vendors come on to help you create a segment and bring the design to life! Thanks again to Cakes on Top and Jake & Ella’s Cookies. I absolutely could not have done this segment without you! Also huge thanks to Rosie and CTV Kitchener for having me on air! It’s always a pleasure! 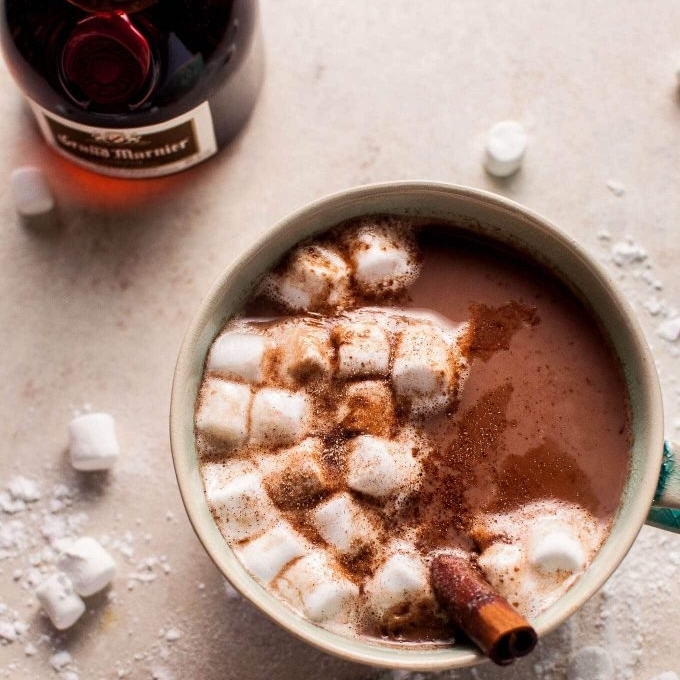 Our Top 3 Favourite Boozy Hot Chocolate Recipes! Because boozy hot chocolate is even better than regular hot chocolate! 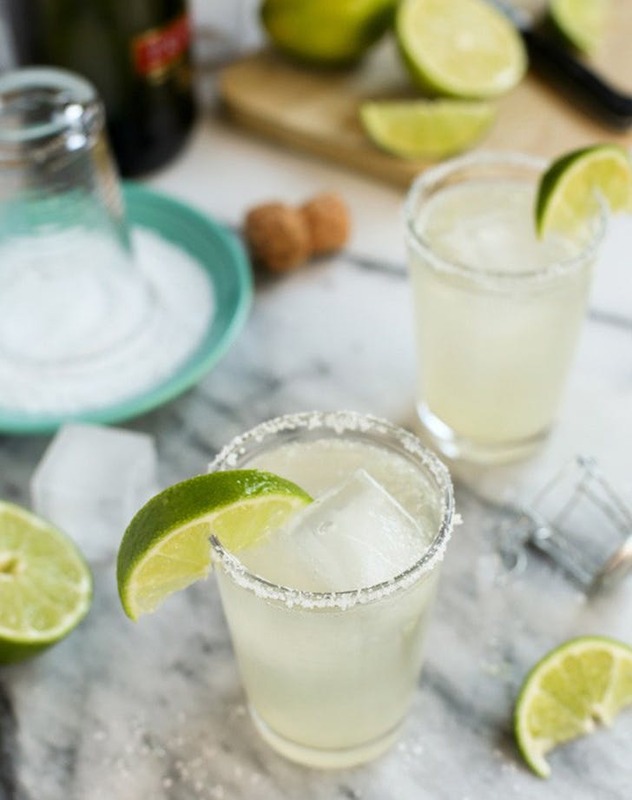 We promise you that these to 3 boozy recipes deliver! Not only are they delicious, but they’ll actually make you LIKE winter. Is there a better way to enjoy a comforting drink with the ones you love than hot chocolate? We don’t think so! The other great thing about these is that if you have kids, you can make them the non-alcoholic version and you can all enjoy warm drinks together! Want to make these recipes even better? Set up a fire outside and take these drinks out by the snowy fire. They’ll still be delicious and they’ll also warm up your hands! Without further ado, here are our top 5 boozy hot chocolate recipes for you to enjoy this winter. A perfect flavour combination. There’s nothing quite as delicious as a chocolate, orange pairing! Add the milk, cocoa powder, brown sugar, and cinnamon stick to a small saucepan on medium heat. Whisk until the ingredients are combined. Heat it until it starts to gently bubble, stirring it occasionally. Whisk in the vanilla extract and Grand Marnier. Leave it on the heat for another minute or two to ensure it's heated through. Top with marshmallows and sprinkle with cinnamon sugar if desired. Heat the sugar, water and salt over medium heat in a saucepan until the sugar is dissolved. Allow the sugar to continue cooking, keeping a close eye on it, until it starts to turn golden brown. Once it begins to caramelize, it will begin to darken quickly. Let the sugar get as dark as possible without burning for best results. Once the caramel is a dark amber color, remove the pan from the heat and pour the heavy cream carefully down the side of the pan. The caramel will splatter before temporarily seizing up, so be very careful to avoid burns. Move the pan back onto the burner, and use a heatproof spatula to stir the caramel and cream until evenly combined. Remove from the heat and allow to cool for 5-10 minutes, stirring periodically. Pour the caramel into a clean bowl and cover with plastic wrap, pressing the plastic against the surface to prevent a skin from forming. Allow to chill until very cold (several hours or overnight). Once cold, use a stand mixer fitted with the whisk attachment and whisk the caramel cream until it reaches medium peaks. Set aside. In a medium saucepan, heat the milk over medium heat. When the milk is steaming hot, but not yet simmering, remove from the heat and add the chocolate. Allow the mixture to sit for a few minutes until the chocolate has melted. Whisk in the vanilla and rum. If needed, return the hot chocolate to the heat until desired temperature is reached. Pour into mugs, and top each with a dollop of whipped cream. 1. In a large mason jar, coffee mug, or teacup, mix the Pinnacle whipped vodka, Godiva chocolate liqueur, Hiram Walker butterscotch schnapps and hot chocolate together. 3. Garnish with toasted marshmallows, graham cracker pieces, and shaved chocolate, and serve. Love these recipes? Share them, so your friends can have warm hands this winter too! We love comments, so let us know what you think of these below! Better yet, try them at home and show us your pics of your creations! FUN WAYS TO ENJOY PROSECCO! There's something so prestige and exciting about the sound of a bottle of Prosecco, Champagne or Sparkling wine being cracked for the first time. The build up, the release, then the excitement and celebration that follow! Weddings, anniversaries, birthdays, showers are all events that require a proper toast or salute to a life accomplishment. We raise a glass to show honour and commitment and we clink our glasses to complete the experience as one. Prosecco is an Italian sparkling wine. It is served chilled and unlike Champagne, is not sweet. We love it because it is so deliciously common, yet it can be used in so many ways that may be completely foreign to us. We're going to break down Prosecco for you. We're going to dig deep and compile our top 5 most favourite ways to consume Prosecco. This could be tricky and may require some Prosecco as an inspiration... one second... OK, that's better! Beat the heat with these delectable beauties. Not only are they stunning in colour, but they taste just as delicious as they appear! 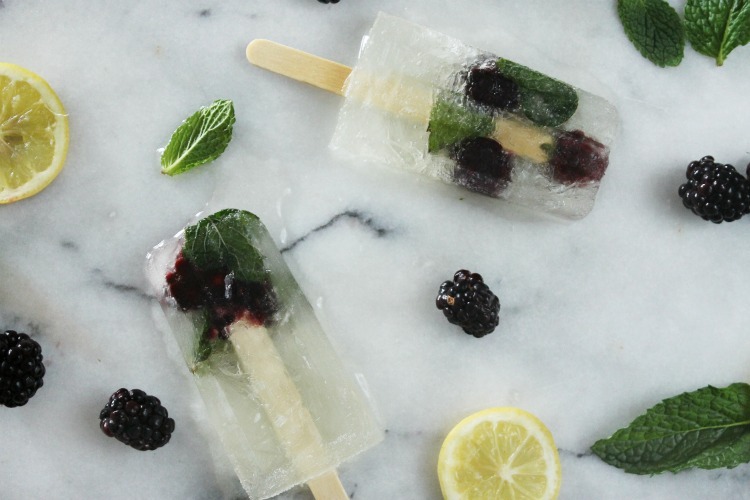 So simple to create and a perfect refreshment to offer your guests on a scorching summer day. Just make sure these stay on the adult side of the freezer! 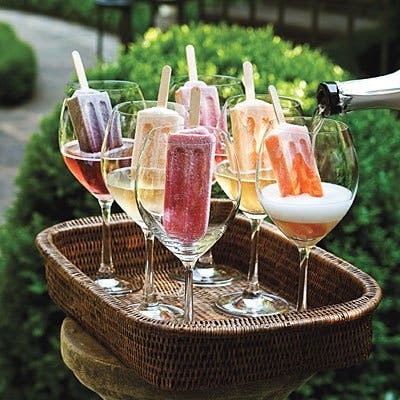 There are so many amazing recipes for Prosecco Popsicles it was hard to choose just one! We chose fruit favourites such as peaches, watermelon and blackberries that all scream, "Mix me with Prosecco!" The best part about these is that there is no limit to your creativity. All that is required is a bottle of your desired Prosecco, a Popsicle mold, fruit whole or blended, additional fruit juice, liqueur or water (soda or still). "I'D LIKE A PROSECCO COCKTAIL PLEASE"
I saved the Prosecco Godfather for the end. If you are traditionalist like me, why mess with a good thing. Prosecco can stand alone. It is a drink of stature and class. I enjoy a glass of Prosecco for a special occasion, when celebrating with family or friends. On a nice quiet Sunday morning I can appreciate a mimosa (or 2). 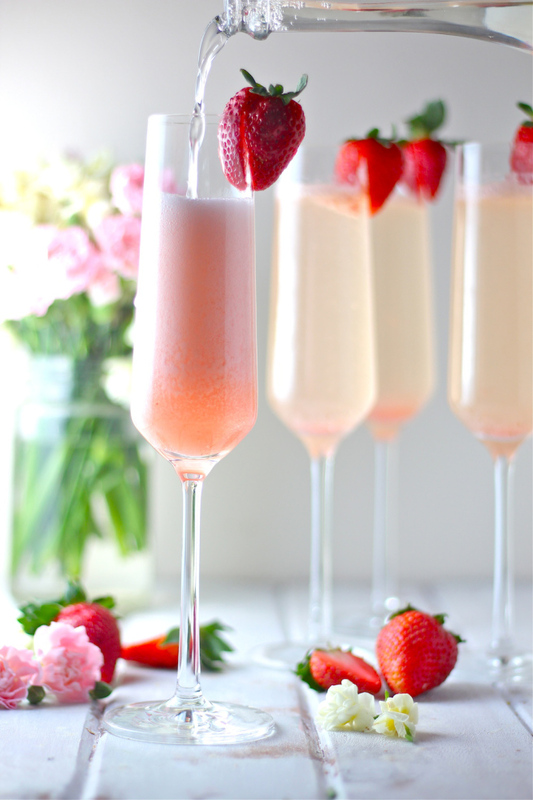 A mimosa is the go to Prosecco drink of choice for daytime events. It is a mix of Prosecco, your choice of juice and a fruit garnish - the garnish is optional. It is simple, delicious and how can you have just one? 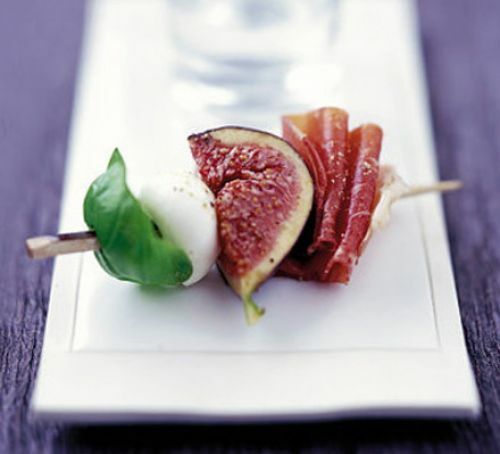 If you find a really cool recipe and want to share visit us at www.theeventfirm.ca or on any of our social media sites. SUMMER OF THE FIZZ, SPRITZ & SOUR! Summer 2018 has been a hot one! How are you staying cool? For as long as I can remember, every year has had a signature drink. From new release coolers, to last years big push on rosé season, to the explosion of craft beers to this years focus on the aperitif. "An aperitif is an alcoholic drink taken before a meal to stimulate ones appetite." We do this on the regular without even realizing it! 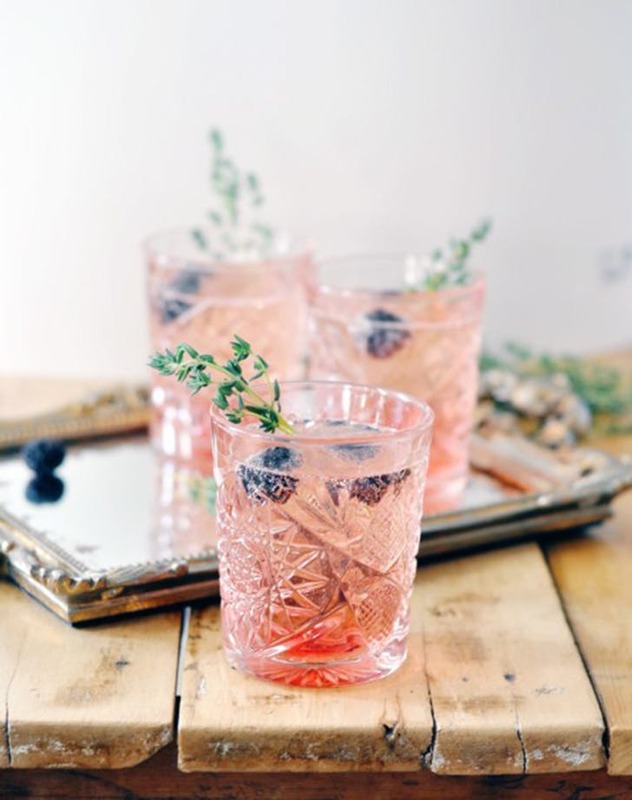 When we have guests in our home, it is a completely natural hosting move at a dinner party or any celebration, to offer a pre-dinner cocktail or spirit. Or as you now know, an aperitif. If you have offered your guests any one of the following, you are already on trend! WHICH ARE YOU? FIZZ, SPRITZ OR SOUR? If you enjoy a great cocktail as much as we do, then you probably find yourself on the hunt for the next best! We compiled a list of what we think are 2018's winning drink trends! The good news for you is that KW is constantly growing and expanding! We are home to so many great restaurants with experienced bartenders and mixologists that are able to mix, create and put their own personal spin on an already simple classic. 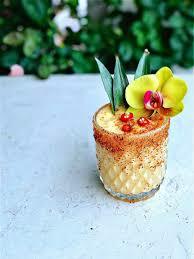 Hopefully you will get a chance to try at least one of these delicious concoctions before summer's end. This new found twist on an old favourite is all the rage! This cocktail is a traditional take on an Italian soda which came to life in the 1950's. Using white wine and soda, Aperol was added to give the drink a more adult take on an already refreshing afternoon beverage. If you prefer your drink to be more bitter, try using Campari! Gin is probably the most well known spirit in this category for this summer. It's light, refreshing and on the hottest of days, that slight hint of lemon or cucumber in a gin based cocktail is sure to satisfy and quench your thirst! Gin is created and famous for using botanicals. Gin is made with juniper, a small, round and very bitter berry ( the pine smell and taste). The next step in the process is to be as creative as he/she wants by experimenting with different herbs and plants. The most common botanicals that are used to enhance gin are: coriander, citrus such as lemon and oranges, cassia bark, licorice, cinnamon, cardamom, ginger, lavender, cucumber, orris root, angelica and so many more. So whether you are wanting herbal, spicy, citrus or floral, you can find the gin to satisfy your taste buds. Try one of these botanical gins below this summer, mix with tonic and let us know what you think! 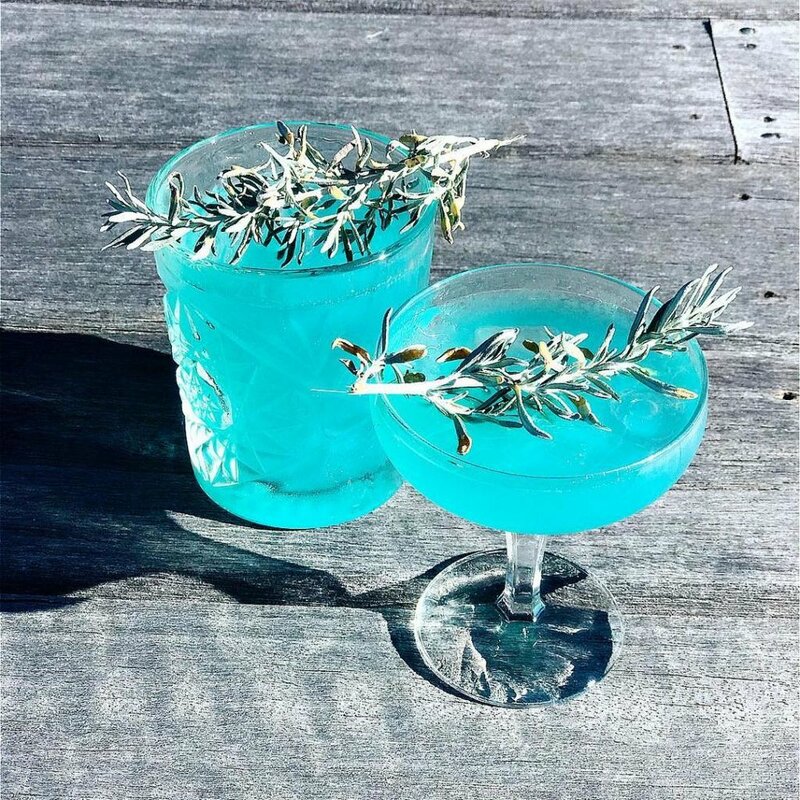 Gin Mare- a gin comprised of olives, thyme, rosemary and citrus. I remember my first fizz. I remember watching it being made, and I remember how it tasted. Throughout my early twenties, drinking spirits with juice was so typical and easy! It required not much though and was inexpensive! As I grew up, so did my taste buds! Now, enjoying a hand crafted vodka fizz (or gin fizz for most of you), I can fully appreciate the creativity and love that goes into crafting a drink! The fizz is refreshing and a perfect choice for summer. Try it at home! For a complete gin fizz recipe click HERE. What makes a drink sour? A sour is traditionally the spirit of choice and a lime mix built on ice garnished with an orange slice or maraschino cherry. Over time, more and more sours have appeared in different forms. From gin sours to whiskey sours, from amaretto sours to brandy or Midori sours, the sour is becoming more and more popular. In some cases, egg whites are being included into the mix. The cocktail is created, then it is shaken and served either straight or over ice. This is one of my favourite summer beverages. I was never a whiskey drinker but these days I can enjoy a properly made bourbon sour. Want a super simple recipe for a bourbon sour? Carolina got behind the camera and made one to show you guys at home! Check out our exclusive video HERE! From sour cocktails to sour beers, more and more breweries are taking on this method of brewing. A sour beer is generally quite tart in taste. 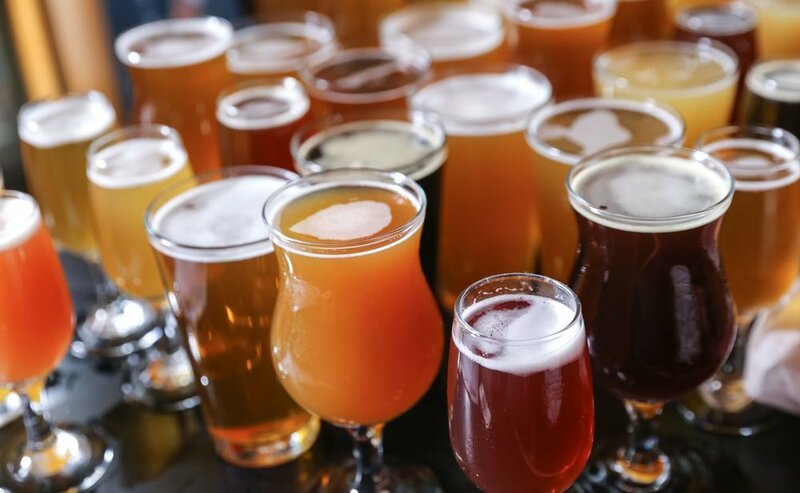 Allowing yeast or bacteria intentionally into the mix or by adding fruit directly into the fermentation process, the beer begins to achieve that standard of being a sour. Try one! There are so many outstanding options right here in our city alone. Block 3's Fickle Mistress, Side Launch Brewing Dry Hopped Sour, Bench Brewing Citra Grove Dry Hopped Sour, or Collective Arts "Mash up the Jam" are all favourites and I would recommend each of these products if you were looking to expand your pallet! Have we left you feeling thirsty? If we have... GOOD! Whether you want to get out and explore a new restaurant or try a new drink this summer, we hope we have left you with some new ideas and new cravings! 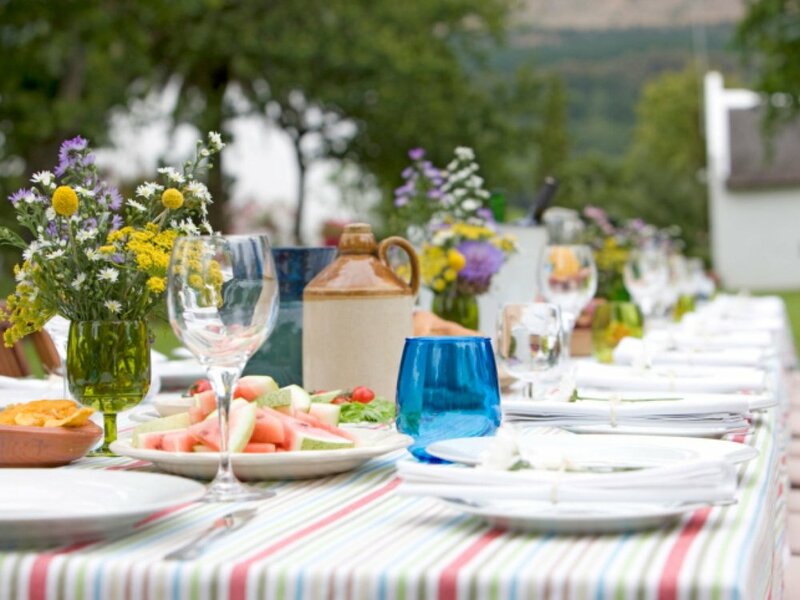 SUMMER ENTERTAINING WITH ROGERS DAYTIME KITCHENER! 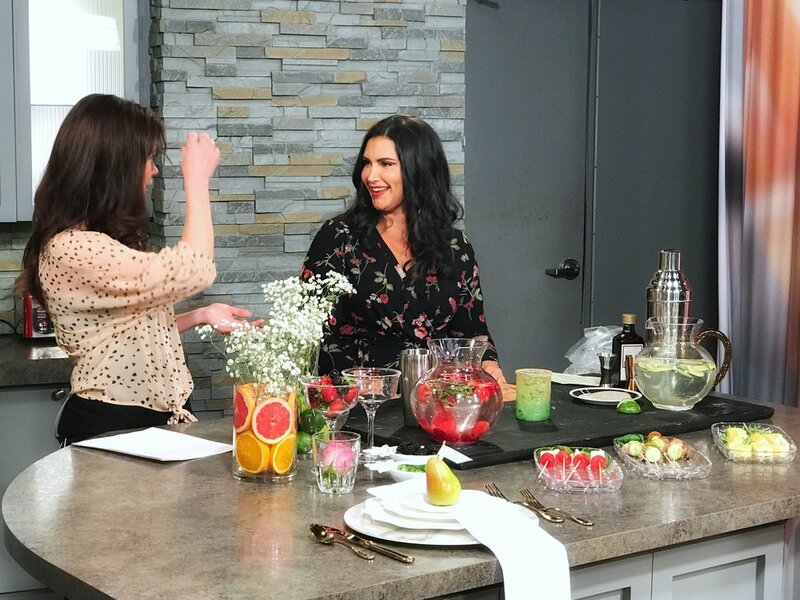 On Tuesday June 5th, we packed up the car and headed to Rogers Daytime in Kitchener to film two segments on summer entertaining. Thank you again Charise at Thatch & Fringe for the most amazing, camera ready blow out! We love that we can count on you and your hair expertise to kick off our day of filming! We filmed with and were interviewed by Natasha McKenty, the In Studio host. Natasha is always so hospitable, so awesome and made us feel right at home! 1st Segment: DECORATE with Fruit! In the first segment, we show you how to take various vases and fill them with fresh, locally sourced fruit. We demonstrate how to make a simple vase full and eye catching by making it the center of attention by cutting lemons in half or by filling the vase with whole limes or different unique fruits. We also show you how to carve various fruits such as watermelons into vases themselves. We were so lucky to have Raymond's Flower Shop in Waterloo provide us with some of their gorgeous stems to be shown with the fruit. The bright and bold shades and textures of the fruit made the white floral choices so elegant and stand out beautifully. Alex Di Roberto supplied us with the fruit for the taping. His fruits and vegetables can be found at the Kitchener Market every Saturday morning on the lower level. Not only did the fruit look so vibrant, but we had fun showing Natasha (and all of you at home watching) how to take an everyday, easy to access, simple item and creating something so beautiful out of it! Check out some of the fun images we captured of Carolina and Natasha during filming! In the second segment, we used ideas from our Blog; Summer Entertaining: Food & Drink and showed off a few of our summer favourites! We had fun eats on set such as delicious summer skewers and pitchers of refreshing infused water. Carolina showed off her bar-tending skills and created a few easy summer cocktails. She mixed up a delicious traditional margarita and then showed us how to add additional items, such as jalapenos and blackberries, to change up or intensify the flavour of your drink. We displayed a stunning white place setting provided by ABC Party Time Rentals in our segment also. We show you how to create an elegant look for a wedding, brunch or dinner party by simply adding a piece of fruit. Any fruit will do as the colours are so rich and can transform any unique vision into a decor dream. We had a blast filming with Rogers Daytime Kitchener- Thank you so much for having us! We hope you were able to catch it live! Hopefully we inspired you with an idea or two that you can use at your next summer event! Thank you to all of our sponsors! Raymond's Flower Shop, Alex Di Roberto Fruits and Vegetables and ABC Party Time Rentals! This wouldn't have been possible without your much appreciated generosity. Make sure to visit our blogs! We are constantly researching and coming up with fun and creative ways to keep you one step ahead for any event! We can help make it happen! Have any other fun entertaining ideas for us? Share them in the comments below! We would love to hear them! 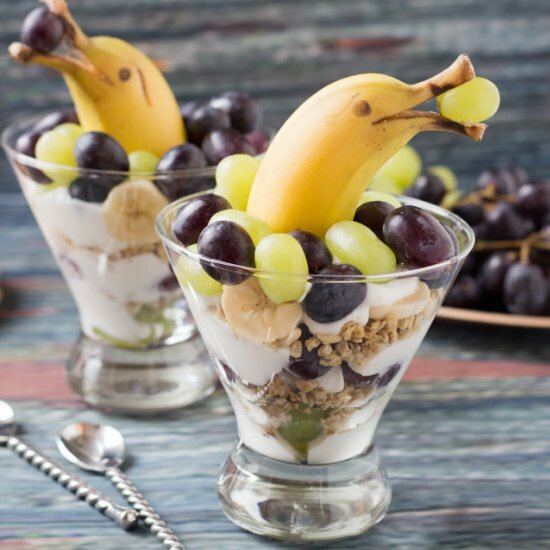 Read more to find out how to decorate this summer with fruit! 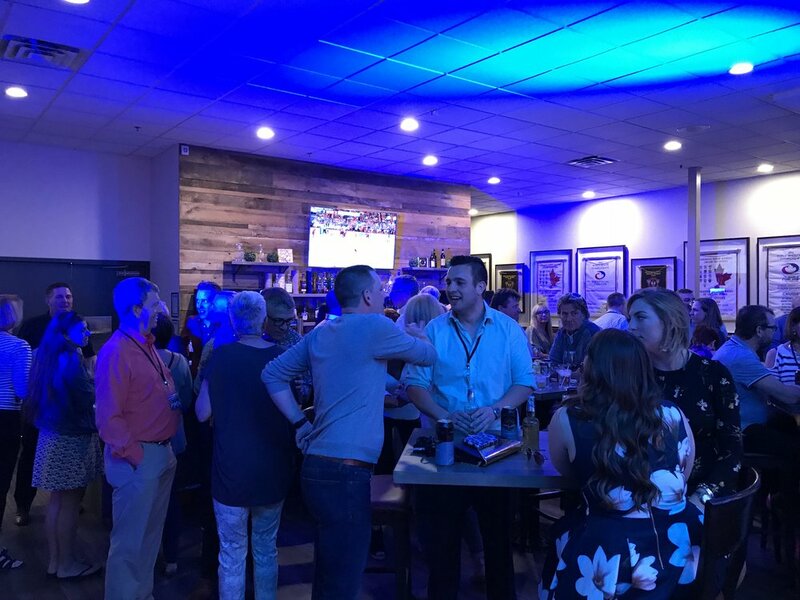 CTV Hosted The Event Firm & We Want to Share Our Fun With You! 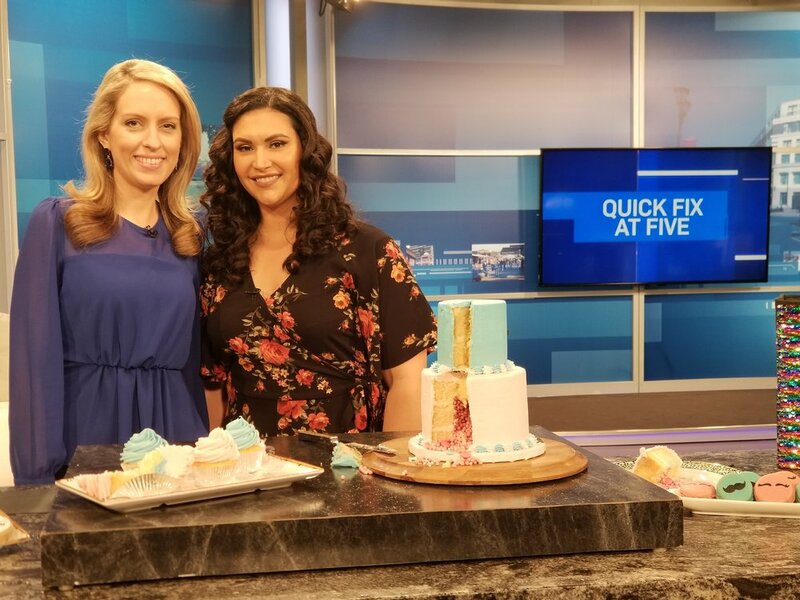 On Monday April 30th we took our expertise and creativity to CTV Kitchener and filmed two segments for Quick Fix at Five with Rosie Del Campo! We always love filming with CTV and with Rosie! Thanks so much again for having us! We started off our morning in St. Jacob's at a new Aveda salon called Thatch & Fringe. Charise Bauman the owner/master stylist gave Carolina a gorgeous and professional blow out which made her camera ready! At the studio we got right into it and quickly set up shop. Weeks of research and preparation goes into these short segments so everything has to be camera perfect especially when your filming back to back. The crew is always so helpful! For our first segment, we filmed a Mother's Day feature. In this segment Carolina showcased gorgeous flowers from Raymond's Flower Shop (Waterloo) and beautifully designed specialty cookies from Sweet Pea Cookies (Waterloo). We show you how to make mom feel like the queen that she is! We compiled simple enough ideas that dad and the kids can do to make mom feel extra special this Mother's Day! Please see the link HERE that will take you to the complete Mother's Day blog for full reference on DIY ideas and recipes. Make Sunday May 13th all about mom! Pamper, spoil, enjoy, remember. However you decide to spend your time with mom, make it count! The memories that you create with mom are priceless and we're just happy that you allowed us to help you in your creative process! For our second segment, we filmed a how to throw an ultimate tea party for the Royal Wedding! The Royal wedding is just days away and if you are as excited as we are for it then you don't want to miss this segment! We were so incredibly fortunate to have Hillary from Cakes on Top (Elora) make so many of her delicious mini desserts. Having cupcakes, tarts, cake, cookies and macaroons on dessert tiers with fresh fruit and florals really add a delightful punch of colour to your party! Vintage and collectable china or silverware bring your party to that standard of elegance and high class that will for sure impress your guests. We show you how to make traditional tea sandwiches and turn them into little pieces of art using cookie cutters! Please click the link HERE to view our feature blog on the Royal Wedding and for more fun ways to celebrate the Royal Couple! If you missed the Mother's Day segment that aired on May 9th please visit the link HERE to view it! If you were unable to catch the Royal Wedding segment on May 16 and there was something memorable that caught your eye please click the link HERE. Please remember to visit our social media accounts to stay updated on new blog releases, CTV air dates and other fun DIY references. We always try to make your event a little more unique and we hope you like having us! Thank you again so much to Hillary at Cakes on Top, Zuzana at Raymond's Flower Shop and Rachel at Sweet Pea Cookies! We had so much fun working with all of you and can't wait for our next opportunity to be able to show our community just how talented each of you are! Many of you, like myself, may have a secret desire to be royalty. It's every little girl's (boy's) dream to one day grow up to be or to marry a prince or (princess). As children we grow up watching Disney movies where the princess lives in a far-away land, resides in an enchanted castle, and one day stumbles upon her (his) true love; her prince charming. Its undeniable. Disney, and even more relate-able, the Royal Family has instilled this fairy tale dream in all of us. Prince Harry and Meghan Markle will wed on Saturday May 19th at 12pm in St. George's Chapel at Windsor Castle. Having a wedding on a Saturday goes against tradition within the Royal families customs. However, this will benefit all of us watching the event of the year from the comfort of our own home. The live broadcast will air at 7am Saturday morning here in Canada, which means; why not celebrate their nuptials by making a night or a morning out of it! We are so excited to cheers the fabulous couple along with the rest of the world, so we have compiled some fun ways for you and your friends to celebrate the Royal festivities. Since the wedding will be starting as most of us will just be waking up, stay in your jammies and create an elaborate British breakfast for you and your guests! The British are the geniuses behind high tea, and that's exactly how we see your party panning out. Put out a spread fit for a King/Queen and make your guests who couldn't be there red with envy! Crumpets, jellies, jams, back bacon, fried tomatoes, scrambled or poached eggs, bangers (sausage) and scones are a must for a true British Breakfast. See HERE for a complete recipe on how to make a scone,and HERE to learn how to properly eat a scone. Clotted cream is also a way to impress your guests. Clotted cream is an elegant, spreadable cream which is a very important component of high tea. It is a thick, slightly sweet and with the same density as unsalted butter or cream cheese. It is the cherry on top for a piping hot scone and a delicious cup of Early Grey. High Tea is a luxurious spread that the Brits take great pride in. Wow your guests with a decadent sweets display with fine pastries, macaroons and tea sandwiches. Tea sandwiches are easy to make and require no time at all. Egg salad, ham & cheese and the ever classic cucumber with cream cheese and dill. 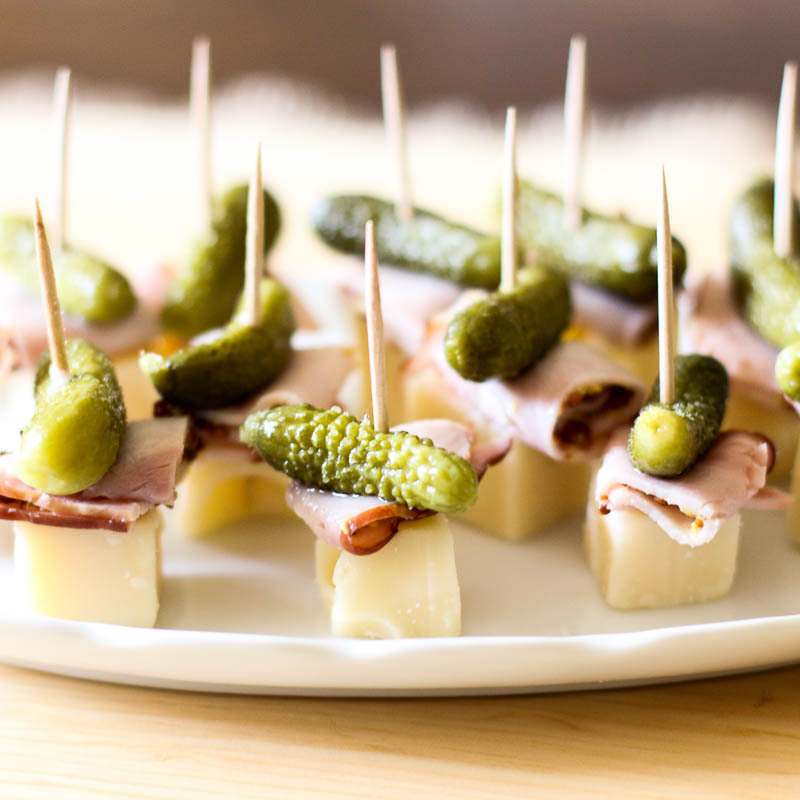 These sandwiches are dainty and light enough to keep you full until your next big meal. Use cookie cutters of any shape and size to beautify a simple tea sandwich. A toast is in order! Celebrating love is something we can get on board with! It may be an early start but it's also a Saturday which means you have the entire next day to catch up on sleep and be in tip top shape for Monday morning! Breakfast beverages are classy and are a sure way to impress your guests. Mimosas, Bellini's, Caesars, Sangria's, mint-fruit infused waters are delicious and look pretty too! Tea is a given and with so many varieties; set up a tea bar- don't forget about grandmas' good china! High Tea is pretty and pretty fabulous. It has this feeling of high class and elegance that can be easily translated into your own home. Lace is beautiful and timeless. Whether you have a lace overlay or a table cloth that was passed down to you its been kept in storage all these years- now is the time! Doilies- any dollar store and party store supplies doilies of various colours and sizes. They are simple enough to be used in place settings, as coasters, or to wrap your cutlery in them. Pearls and florals are a beautiful way to pull in your decor and displaying good China are always a winning factor. Tea cups and tea pots- to use or to fill with florals are a gorgeous way to create a beautiful space. If you are having a formal meal- try this LINK for a step by step guide that teaches you how to fold your napkins into a rose. WATCH THE WEDDING IN STYLE! Now that you have food and decor taken care of, lets focus on what you will be wearing and what you would like your guests to arrive in! This may not be a black tie affair or is it? It's a theme viewing party so anything from comfies to full blown costumes are OK! Wear your Sunday best; spring dresses, long or short and lace gloves. Still have a few old bridesmaid dresses tucked away? This is the perfect opportunity to wear them again! Have a contest to see who has the best or the ugliest dress for that matter! Fascinators, tiaras and big colourful hats with feathers, flowers and bows are definite for this occasion. The bigger the better! Or do a Spice Girls theme party! Nothing says true Brit like dressing up as Sporty Spice or Posh Spice! Whatever you decide to do, or how you decide to celebrate- share your images with us! We want to see! Post your images and tag @theeventfirm on Instagram/Facebook or Twitter! 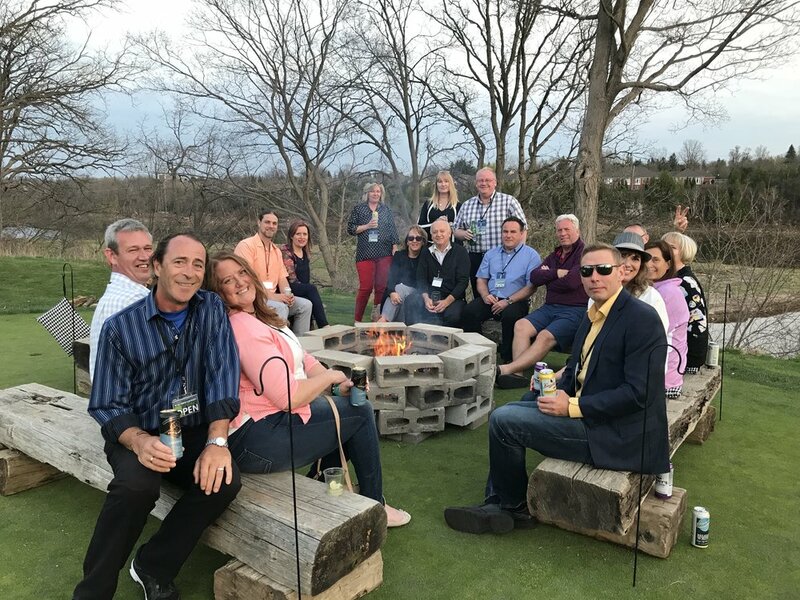 GALT COUNTRY CLUB & THE EVENT FIRM PRESENT: GALT SOCIAL- SEASON OPENER 2018! Golf season is here! 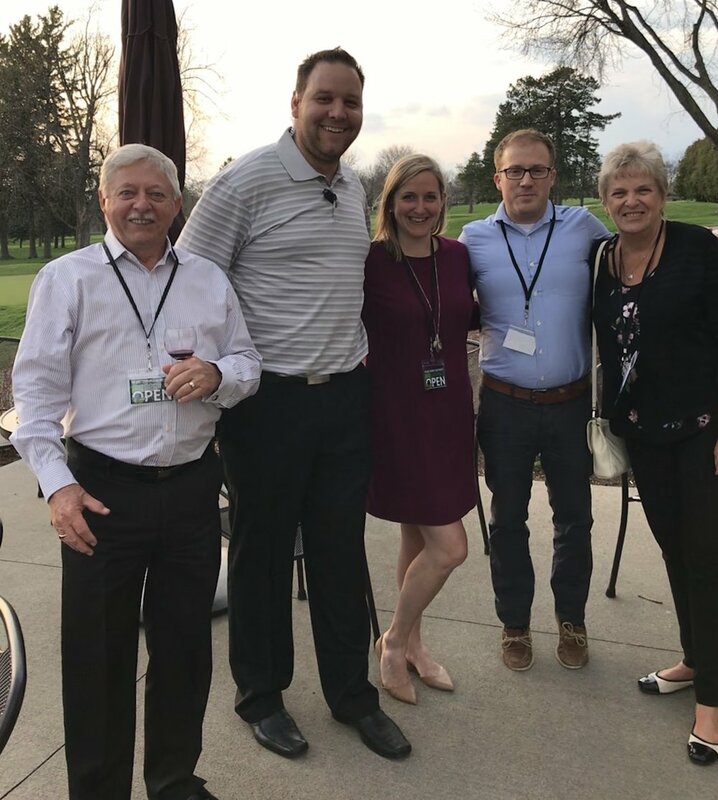 On Saturday May 5th, we kicked off the season with the Spring Open event at Galt Country Club. The clouds may have threatened once or twice but they passed and we got incredibly lucky with spectacular weather! What an incredible night for all that attended! No one left hungry that was for sure! There were 21 food and drink vendors that could be found around the club. Everything was laid out so perfectly and I know our guests thoroughly enjoyed themselves. Thank you to all of our beverage vendors that took the time to be a part of this awesome event with us! 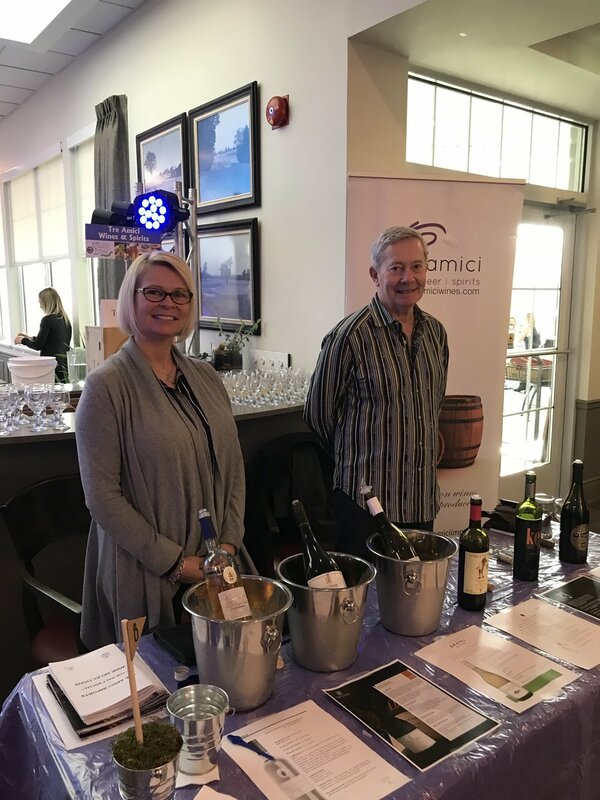 Thank you to: Mill Street Bewery, HHD Imports & Diamond Estates, Grand River Brewing, Abe + Erb, Hespeler Brewing Co, Creemore Springs Brewery, Noble Wines, Tre Amici Wines, Dixon's Distilled Spirits, Gibson's & Goslings, Ace Hill Brewery, Sleeman Brewery, Abcon Wines, Labatt Brewing, Beau's Brewing, Steam Whistle Brewing, Molson's Hard Soda, Molson Coors, Triple Bogey Brewing Co, Four Father's Brewing Co, and Lifford Wines. The main ballroom featured a taco station, fresh oysters, an Asian bowl station and a full spread of delicious charcuterie! You know how all of us at The Event Firm love our charcuterie! Outside by the fire pit, there was a full BBQ station - complete with two pigs and a s'mores building station! There was something for everyone! Galt Country Club and their food and beverage team did an outstanding job and succeeded in making sure that our guests left full and satisfied! Guests also had an opportunity to enjoy live entertainment. 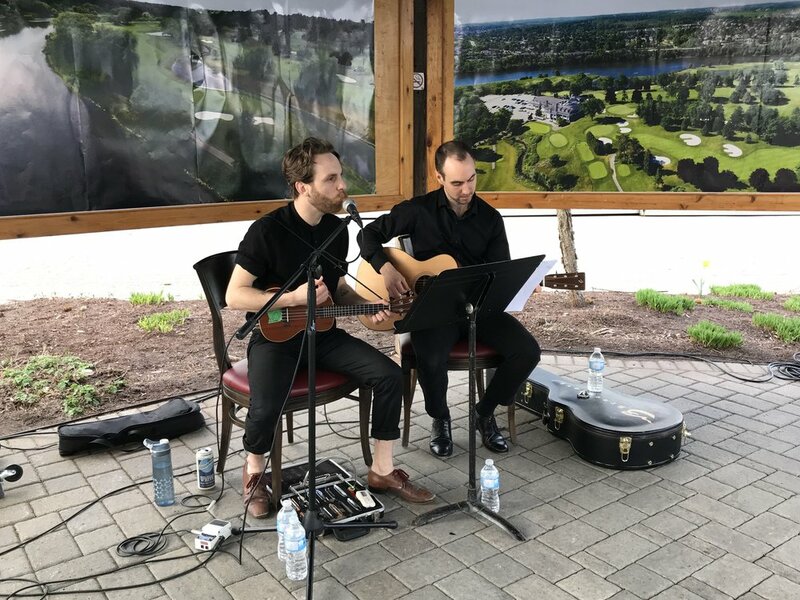 Outside, we featured a talented duo from Bongo & B Entertainment and Craig McNair. 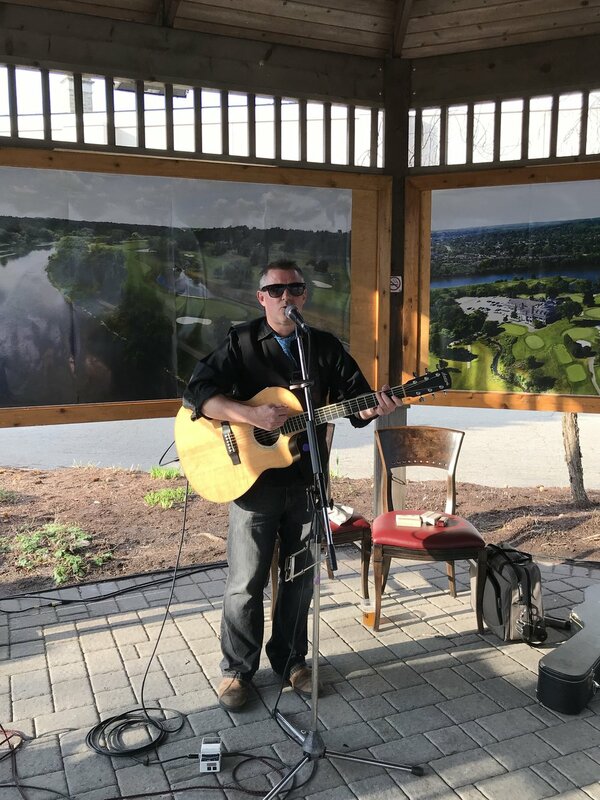 They played acoustic favourites in the gazebo so all the guests could enjoy the music while taking in the fire and the picnic table setup. Inside, Jesse Parent played acoustic hits while the guests mingled, tasted various cuisines, sampled local breweries and wineries and had the opportunity to draw on a large scale LED graffiti wall! As the evening progressed Bongo & B Entertainment hit the stage again and shut the party down. They rocked out top 40 hits that had everyone (including Scott Higgins- HIP Developement) up and dancing. The room was full of energy (and drinks) and there was a sense of excitement among the members for their new club and the new season! 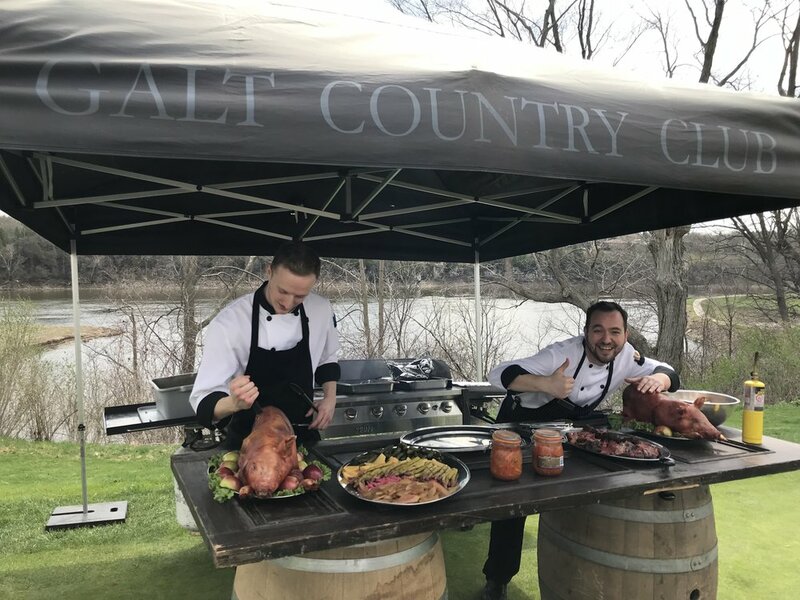 We are so honoured to have been asked to plan this event along side Dave (General Manager), Rob (Food & Beverage Manager) and Caitlyn (Events) of Galt Country Club. We are so excited for your new season and look forward to working with you again or just getting out on the course for a round of golf! Cheers to the 2018 golf season! Mother's Day is right around the corner and what better way to celebrate mom than by throwing a brunch, a dinner, a cocktail party, a celebration big or small in her very honour! Mom's put up with a lot. Monday to Sunday. Sunrise to sunset. Their work load doesn't just end Friday at 5; they give it their all and bust it out until that inner clock tells them its quitting time, it's time for wine! I have watched my girlfriends raise their little's and can attest to how awesome they make motherhood seem. The accomplishment alone deserves a toast! Everyday I am surrounded by countless amazing mama's of all ages that all have one thing in common; they love their kids. Mother's Day allows us to love them right back 110% more. Let's do something special for mom this year and treat her like the queen she is 365 days a year! We hope you shower a mom this May 13th with the love she deserves! To give you a hand we planned out a simple brunch; from décor, to drinks, to festive appetizers; we have you covered! This DIY floral display is super easy and looks stunning! Depending on how you go about doing this; there is the cardboard and glue gun way or the super creative and artsy way of creating your own letters by constructing 3D cut-outs. Many craft stores will carry the pre-cut letters in both wood or metal which will make your life a tad simpler. If you choose to go the more difficult route; after the letters have been constructed and hollowed out, they get filled with foam which the florals; fake or alive will stick into. Another really easy way is to just trace out a letter on foam and cut it out and use that as the base. Glue and use anything that makes it resemble your mom; corks, ribbon, buttons, charms etc. 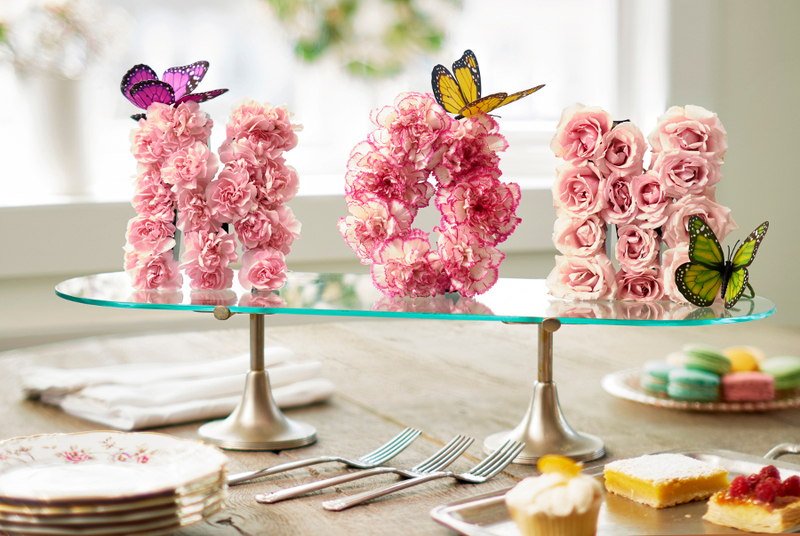 There are so many creative options for these floral letters! You can simply do a "mom" or you can do her first initial. Displaying it on the dinner table as an arrangement would be a gorgeous addition to your brunch! The images below from JULIE'S CORNER are beautiful and easy to recreate for yourself! Let your creative juices flow! Along with every great meal is the meal's primary accessory; the napkin. For some reason we love our napkins and this cute DIY is perfect for dad and the kids to do for mom! This craft doesn't require you to break the bank! Walk over to your refrigerator- open the produce drawer and take out the celery. Make a quick snack for the kids and keep the end; the part that would usually get tossed. Fill a tray with paint, and use the celery end as a stamp. 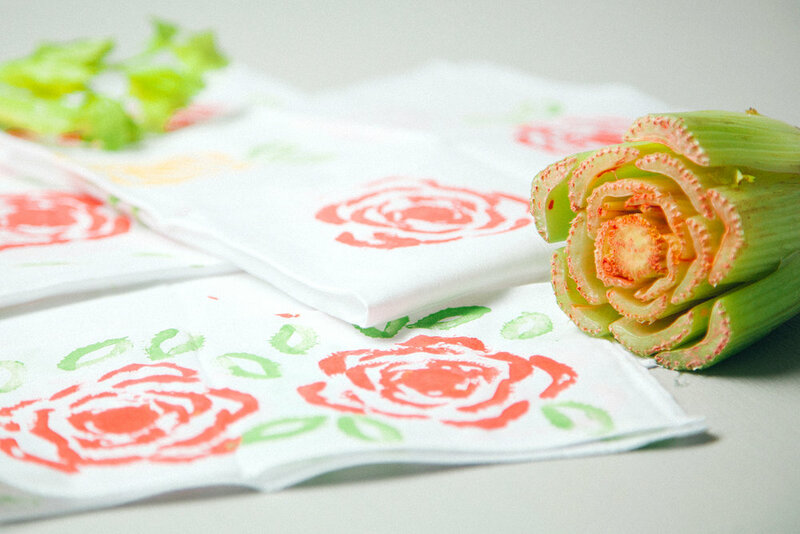 Stamp napkins; paper or cloth, place cards and let your colourful imagination take over! Let them dry and use them for your brunch place settings. This bar has no closing time! A mom-o-sa bar may just be what mom needs! Have the kids help! Take them shopping! Its a fun way to spend time with mom and create something so easy that she and her guests will enjoy! Food - it's what brings the masses together! Every Sunday my husband and I go to my mother-in-laws for family dinner. 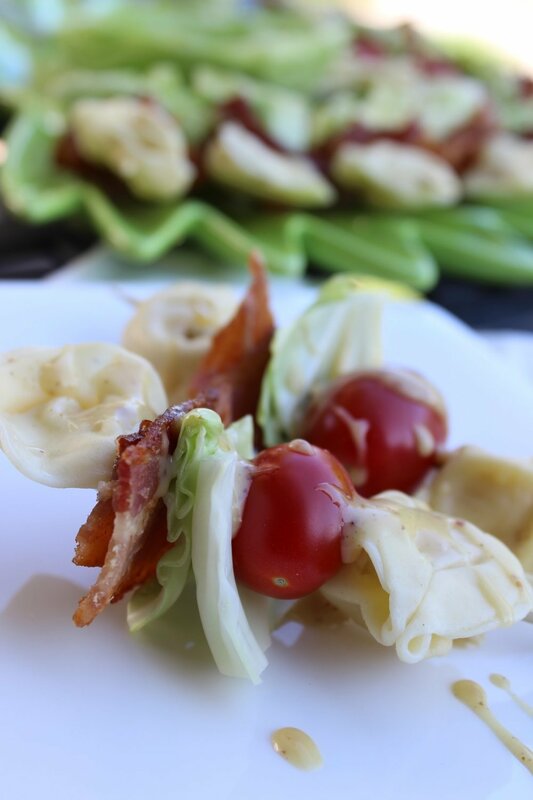 She goes all out with appetizers and a meal planned specifically in mind for her kids. Making mom her favourite meal, snack for Mother's Day or the ever desired breakfast in bed is a no brainer! Lets take this creative brunch to the next level! Here are some more fun DIY ideas for the whole family! The Calla Lily- a simple yet eye appealing appetizer. Easy to make! All you need are white cheese slices/small pita rounds or wraps, cream cheese; plain or herbed, scallions/ green onions for the stems and thinly cut carrots. Moms are our safety nets. They love us when no one else will, they comfort, console and in time end up being more of a friend to us than authority. Each one of us has a different story or relationship with mom. Cherish your time, accept the guidance she shows you, and willingly take the help and support she offers you through life when times are tough. Happy Mother's Day to all of you moms out there! Fur- mama's, new mothers, wives , grandmothers, aunts, sisters and daughters!